We last saw Bruce Wayne at a Florentine café. Times have changed. When we next meet him in March, he will be far away from cappuccinos and the David. Former director Christopher Nolan is still in the picture, now as an executive producer presiding over Zack Snyder's DC reign of terror. Batman V Superman: Dawn of Justice will twist the Batman fable, bend the mythology, and front Ben Affleck as the latest Caped Crusader. While certain elements of Batman remain unchanged, even from the Adam West days, evolution is inevitable. With a new director, new actor, and new vision, Batman is most definitely a different beast. Everyone loves Alfred Pennyworth. He is the kind of English gentleman that every eligible bachelor wants to have. Over the years, Alfred has been a key figure in Bruce Wayne’s life. Most recently, Michael Caine took on the role, imbuing it with an East London sincerity that found him admonishing Bruce the majority of the time. Sure, he knocked out a few baddies and lifted a burning log off Bruce’s chest, but Caine’s Alfred was more concerned with protecting the Wayne legacy than promoting Batman's crimefighting. When we welcome Jeremy Irons to the screen, we can expect a different sort of beast. While he may still have an avuncular relationship with Bruce, the most recent trailer shows him facilitating Batman’s crime fighting throughout Gotham and abroad. In Batman V Superman, he is an SAS-trained former bodyguard, a man who, in Irons’ words, “can do actually anything if he wants to.” Perhaps the new "warrior Alfred" will be a true proponent of Batman’s potential. Christopher Nolan’s trilogy dealt heavily with loss. From Batman Begins to The Dark Knight Rises, Bruce sought peace in the perpetual wake of his parents’ death. He was at war with himself. While we have yet to meet the new Batman, his rage seems to have finally eclipsed his mourning. “If we believe there is even a one-percent chance that [Superman] is our enemy, we have to take it as an absolute certainty,” he bellows to Alfred. 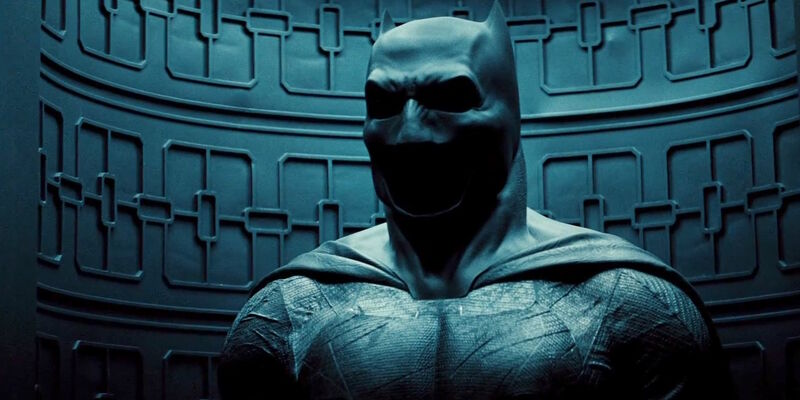 Could the new Batman break the “one rule” so frequently touted in Nolan’s trilogy? Christian Bale’s Batman took Joker to the one yard line, but his moral code won out. Zack Snyder had Superman snap a neck, so who is to say this Batman will know his limits? On the road to justice, expect Snyder’s Batman to push the envelope as he lives out his authoritarian “1%” philosophy. 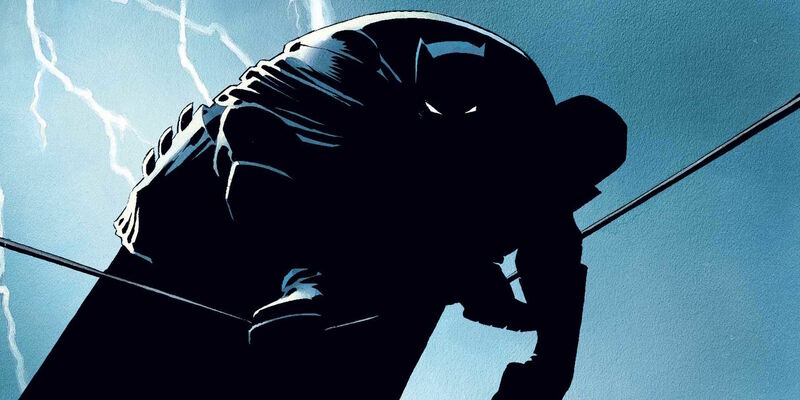 Beyond his storytelling capabilities, Frank Miller thrived in creating a world for Batman that was rich, captivating and grim. He may have been the first artist to wholly recognize Batman’s capabilities as man, fighter and detective. While the exact details of the Batman V Superman story has yet to be revealed, we already know that Zack Snyder has adopted an aesthetic tone in line with Frank Miller’s imagination. Nolan seldom shied away from the darkness, but Snyder paints portraits with the Crayon Collection from Hell. Filled with grays, blacks and everything in between, the look and feel of Batman V Superman is surely using The Dark Knight trilogy as a foundation from which to get even bleaker. In the mid-2000s, superhero origin stories were all the rage. Now that we've watched these heroes become the legends we know and love, audiences are ready for the next level. Batman V Superman skips the foreplay and gets right down to business. As the marketing efforts and trailers have prepared us, we shouldn’t expect excessive background information on how Batman got where he is. Snyder has built a world where Batman now has an assumed history. He's grizzled, he's angry, and he's really good at what he does. No one needs to ratify his skill set like Ra’s Al Ghul. Instead, people will likely need to calm him down. 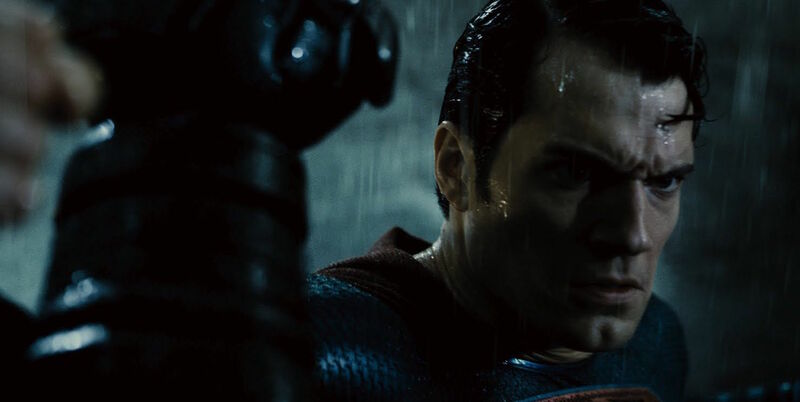 In Batman V Superman, we can expect to watch a fighter at the top of his game. Though he may have more gray hair than we're used to, Affleck’s Batman is in it to win it. Through the League of Shadows, Christopher Nolan was able to depict a somewhat global vision of the battle between good and evil. Ultimately, however, his universe was mostly confined to Gotham. Batman V Superman looks to break that mold. At the end of Man of Steel, we witnessed the total destruction of Metropolis, where Zack Snyder took domestic stakes and elevated them to galactic proportions. From the footage of Batman V Superman we’ve seen thus far, Snyder has continued that theme. Wherever the “God vs. Man” battles occur, the world will also be at war. By starting the new Batman mythology in the larger spectrum of the Justice League, Batman V Superman must focus heavily on scope. Where Nolan built a character and created a story, Snyder is founding a sandbox universe in which the DC Comic Universe can play. Big difference. The Batcave is the average man’s dream home. It has something for everyone: a batmobile, a cave, a waterfall and more. Christopher Nolan had three movies to make the Batcave a fixture of his trilogy, but it never fully materialized. What a shame. We never really got to see Batman enjoy it and in the last shot of The Dark Knight Rises, it looked like Joseph Gordon Levitt was going to play house in Bruce’s batcave. From everything we’ve seen about Batman V Superman, the new Batcave looks tried and true, fully realized and ready to rock. In short, there will be less time dealing with bat droppings and more time dropping ordinance from the Batwing. Snyder’s Batman doesn’t have just one suit. He has at least three: one for his day-to-day operations as the Caped Crusader, one for his trips to warmer climes, and another mech suit for the occasional battle against extraterrestrial gods. The suit is clearly a Frank Miller-inspired doozy, and this time, it’s full on. Gone are the awkward cowls and disassociated parts of the Nolan films, now replaced by a onesie of epic proportions. It’s a fabric batsuit, indicated by the imperfect bunching of the material. While very different from the Batsuits of the Clooney, Kilmer and Bale days, the new one appears more realistic, or “less armored,” as Snyder puts it. It could take years to distance the sound of Batman from Hans Zimmers’ memorable score. While he will continue to collaborate with Zack Snyder on Superman’s motifs, in Batman V Superman, Junkie XL (of Mad Max: Fury Road and Deadpool fame) holds the reigns to the Bat theme. As evidenced in the latest soundtrack samples, we can expect something menacing from the Dutch composer. 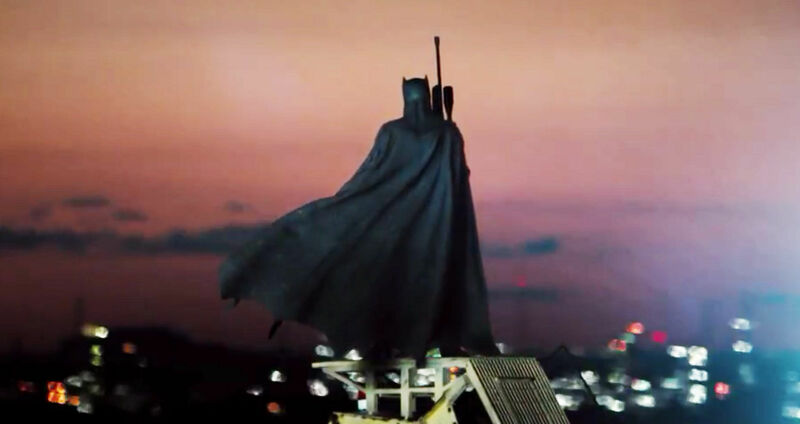 The Zimmer drums return on steroids, an appropriate escalation from The Dark Knight trilogy, as this Batman appears physically larger than ever. So far, Junkie XL’s interpretation of the famed vigilante sounds as violent as the action in the trailers. One may hope for some musical diversity, but the maudlin tunes of old Bruce Wayne are as of yet nowhere to be found. Junkie XL is going to bring the pain. If Christopher Nolan thrived in creating action scenes dependent on smoke and mirrors, Zack Snyder builds them on raging fire and broken glass. Since Dawn of the Dead and 300, Snyder has been a pugilist with a camera. While Nolan uses action sequences to advance plot, Snyder has seldom shied away from focusing the plot on action. Some days you just can’t get rid of a bomb, but Nolan could never get the damn thing to explode. If the latest trailer is any indication, expect Batman V Superman to up the ante with more violence and more advanced fight choreography. Scarecrow deserves more credit than he received. What a truly creepy portrayal of the hallucinogenic villain we got from Cillian Murphy in Batman Begins. Along with the Joker and Bane, The Dark Knight trilogy presented some insidious foes worthy of Batman’s fullest attention. What does Zack Snyder have in store for us? Lex Luthor (Jesse Eisenberg) will be wreaking havoc with his hipster-scientist-Zuckerbergian flare, while Doomsday (embodied by Robin Atkin Downes) will be smashing whatever gets in his way. Michael Shannon will at least be seen in a state of rigor mortis, though one wonders if we ever see him out of the bodybag shown in trailers. Time will tell. Ultimately, Zack Snyder is not only introducing the Justice League squad, but serving a side dish of villains that will keep our heroes very busy for years to come. From sniper rifles and grappling hooks, to Batmobiles, Batwings, mech armor and more, Batman V Superman will have no shortage of gadgetry for the billionaire of Gotham. In addition to that starter kit, Batman will have a grenade launcher, sticky and smoke bombs, Batarangs and more weaponry than a small military command post. In comparison to the EMP gun and militarily neutered Batwing in The Dark Knight trilogy, Snyder’s version of the flying machine will have the utmost functionality. Who knows? Batman's utility belt may even serve a purpose this time. The gadgetry doth make the man, and while we can only wonder how they will be applied in Batman V Superman, they certainly hint that Batman is at war. Zack Snyder has eloquently dodged questions seeking to nail down the genesis of the Batman V Superman story. While we are confident the story pulls elements from a variety of sources and influences, it appears the overall narrative is more of a cocktail blend than a direct homage. What other major changes are you expecting in Batman v. Superman? Let us know in the comments below!